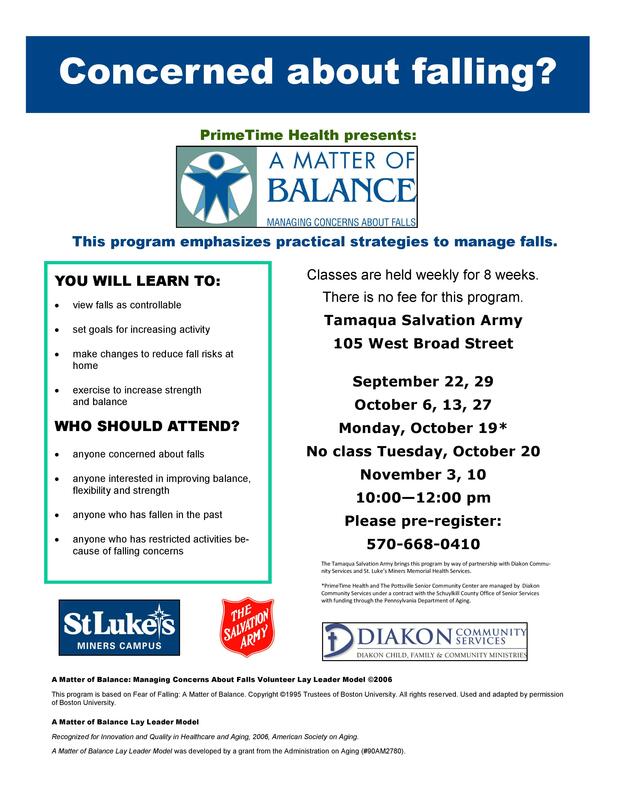 The Tamaqua Salvation Army, along with Diakon Community Services and St. Luke’s Miners Campus, are hosting a free 8-week program, titled “A Matter of Balance”, designed to emphasize strategies to manage falls. During the program, participants will learn to view falls as controllable, set goals for increasing activity, make changes to reduce fall risks at home, and exercise to strengthen and balance. Program dates are, September 22, 29, October 6, 13, 19, 27, November 3 and 10, 2015.